A few weeks ago Journey2dfuture did her first giveaway. The prize was Gourmesso coffee. What mama does not need a little more coffee? So I entered and won! Whoo! Hoo! Happy Dance! My package of two samples from Gourmesso arrived on Monday. I asked to try tarrazu forte- strong coffee to get me ready and out the door. 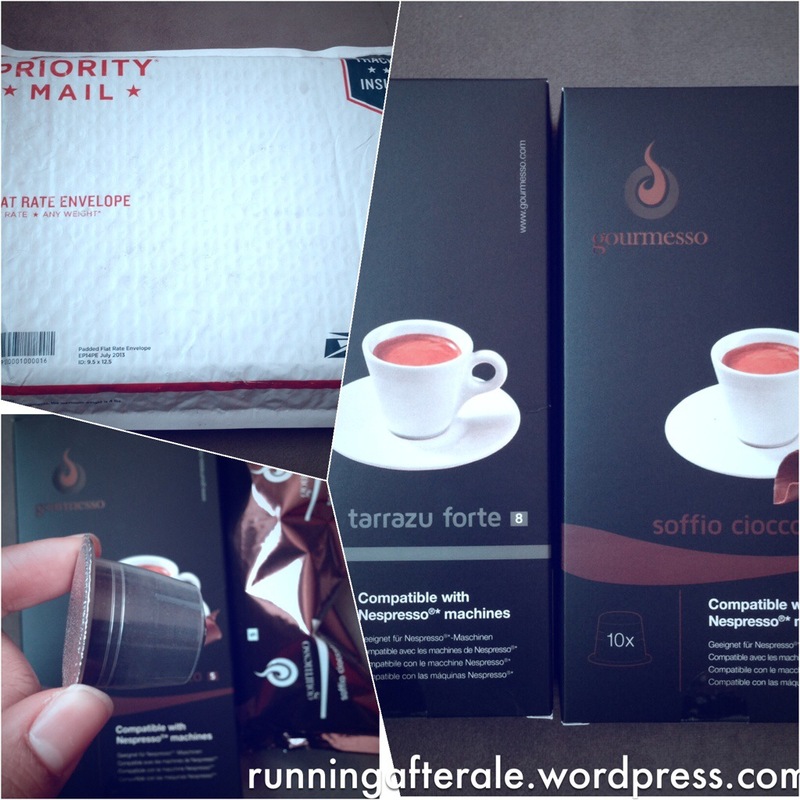 The other soffio cioccolato- coffee with chocolate! This would be for an afternoon coffee after the playground when it’s really mama who needs a nap but must keep going. Here are my unboxing photos. The coffee is beautifully packaged and smells heavenly. But, wait! They are capsules, only compatible with the Nespresso machine. I don’t have that super expensive coffee machine. No fear. I am a resourceful mama. 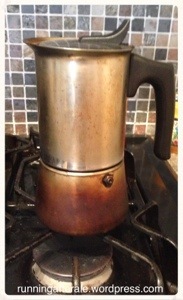 The foil top will come off and I will pour the luscious smelling coffee into my trusty stove top espresso maker. Thank you Journey2dfuture! — be sure to stop by her blog! This entry was posted in Ale and tagged blog, coffee, giveaway, mommy blog, motherhood, parenting, toddler. Bookmark the permalink. Congrats…love coffe Id be lost without my nespresso machine!! Thank you! Coffee is more than important!